Summer is so close we can taste it! 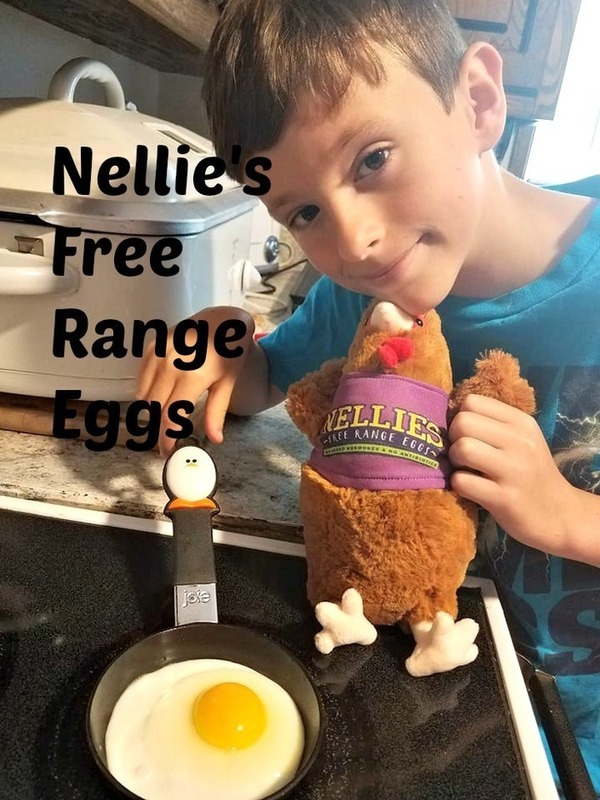 And while “summer school” often gets a bad rap, Nellie’s Free Range Eggs wants parents and kids to get into the kitchen and prepare delicious egg-centric recipes during its own “Nellie’s Summer School” this June. I absolutely adore chickens. They are my favorite animal to have as a pet because of how cute they are. I have always been enamoured by chickens. Given the right amount of attention and love, chickens can really develop their own spunky little personalities. My favorite chicken was my adorable little puff-headed hen named Delia. She loved to go for a ride in the car. Heaven forbid, if you left the car door open for any length of time to unload groceries, Delia would sneak in. One of those times was when my oldest son's friend stopped by and left his car door open while he visited for a few minutes. The driver didn't know that he had an unexpected 'passenger' until Delia popped up when he was half way home to say hello. He nearly drove into a ditch. I have so many awesome chicken stories, but I will save that for another time. Unfortunately, one of the problems with free range chickens is that fact that they are easy prey for hungry predators. That is how my sweet little Delia met her maker. We think a fox got her. My how I miss that little sweetie. The other problem is evil neighbors who call the police when one of my beloved poultry would wind up in his mulch pile. Yes, that horrible neighbor called the sheriff on us. As much as I love chickens, I have recently had to re-home my flock. With my busy schedule lately, I have not had a lot of time to devote to my sweet little chickies. I really miss the never ending egg supply! For now, I am relying on Nellie's Free Range Eggs so that my family can still enjoy the freshness and quality of free range eggs, because there truly is a difference! My son, Braxton loves his daily eggs. He is showing a huge interest in cooking lately, and so I have decided that at least three or four times each week, we will be setting aside some time for Braxton to have some good old fashioned summer school. "Summer Cooking School" in which we will test out many yummy recipes featuring Nellie's Free Range Eggs. For now, I am having Braxton start out by cooking his own breakfast. He is having a lot of fun learning to cook his eggs however he wants. He is getting pretty good at mastering 'the fried egg.' He is awesome at scrambling them, too. Next week, when Braxton is officially out of school, I promised him we would make his favorite cookies, using Nellie's Free Range Eggs. The recipe is below. 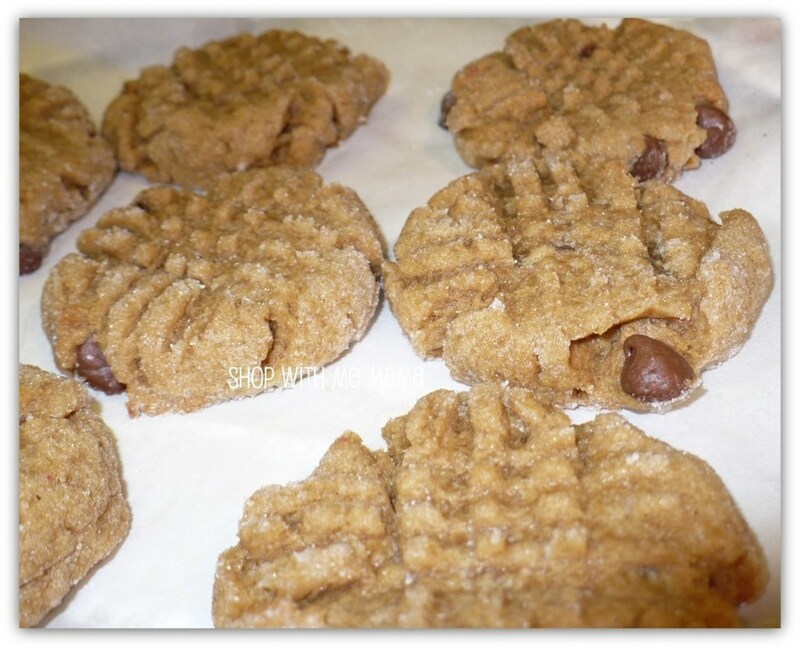 It is a family favorite recipe for Easy Peanut Butter And Chocolate Chip Cookies. I actually borrowed it from my sister, since she made them last week, so I am using her photo as well. 1. Mix butter, peanut butter, brown sugar, egg in bowl. Add baking soda, baking powder, salt and flour. Add vanilla or almond extract and chocolate chips. 2. Pour a half cup (or less) of granulated white sugar in a bowl. Roll little balls of the cookie dough and roll into the sugar. Put on parchment paper or just cookie sheet and press dough with a fork. 3. Put in oven for 10-12 minutes at 350. Let cool and enjoy! Enter to win using the Giveaway Tools form below. Good luck! I purchase my eggs from the grocery store. I have thought of raising my own chickens but I don't know what it takes. 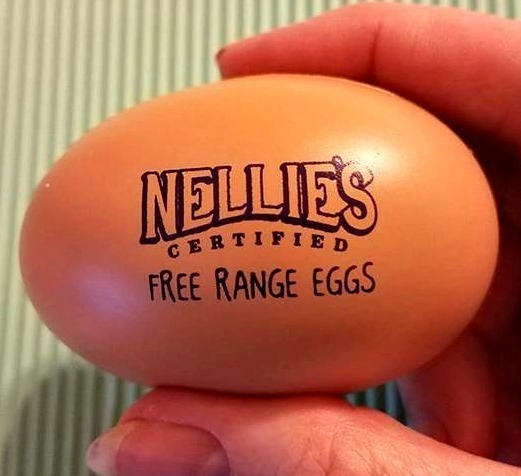 I have just recently heard of Nellies Eggs. I am going to try them. I purchase mine at Food Lion or Publix. I wish we could have chickens here for eggs but there are a bunch of feral cats, coyotes, fox..ect and I don't think I want to put them in that danger. Nellie's eggs are delicious!PS.. I pinned this cookie recipe.. yum! I purchase eggs at Whole foods and Stop N Shop! I usually get them at the grocery store but there is a chicken farm with fresh eggs to sell nearby so I go there sometimes. I buy my eggs wherever they are the cheapest which is usually Aldi. We sometimes get them at the store, and sometimes get them from friends who have hens. We get our eggs from the grocery store. I Purchase my eggs from the grocery store. I do not raise my own chickens. I get our eggs from Walmart and Target! I purchase eggs from Big Y or Stop and Shop . 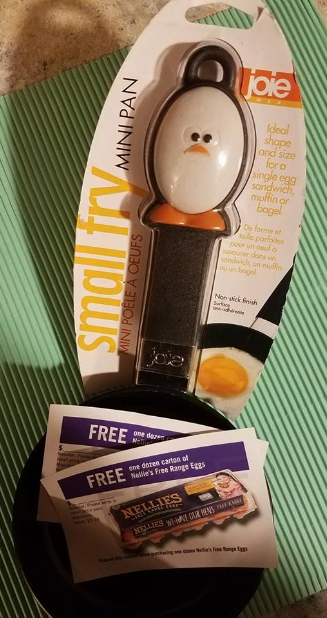 I usually buy the Cage free .... Would love to try Nellies Cage Free Egg Products . I buy Nellie's Eggs in Shop Rite in NJ. We used to have chickens for eggs when my grandfather was alive, but now in our town, we are not allowed to have chickens. I get my eggs at Target. Usually at the grocery store. Half from the grocery store and half from a farm. I buy my eggsat Wegmans. We get the organic cage free ones. I currently buy my eggs at the farmers market. No, I currently do not raise my own chickens, but my parents raised 100 chickens every year. My favorite time of year was when the baby chicks were delivered from the feed mill. I usually get eggs from Shaw's or another grocery store. I get eggs from the store. We purchase them from the supermarket but having grown up on a farm I notice there is a big difference in the eggs. I purchase eggs from Costco or walmart. I usually were purchasing my eggs at Aldi's. I buy my eggs at Costco.